Let’s start with some music. This month I’m really into an original song written by a YouTuber, Chester See. I’ve been listening to the song on repeat all month. It’s called That’s What I’ll Be! I’m pretty sure you’ll love it too. If I’m telling you my favorites I just have to add at least one book. I love to read, but don’t worry. I won’t be sharing all the books I’ve read this month. Right now I’m reading Paper Towns by John Green. I’ve read all his other books as well. They’re really worth your time. I haven’t finished this book yet, but I love the story so far. Everybody needs a little mystery in their life once in a while. Oh, I have just one more story. But don’t worry, it’s the six-word story by Hemingway. 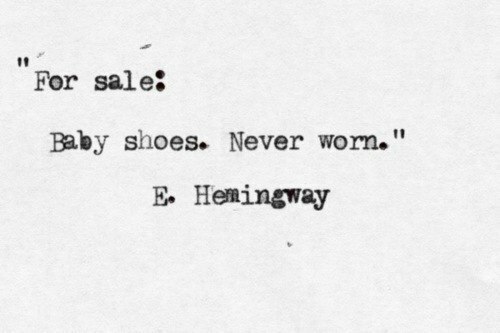 I heard about these type of stories before, but never actually read the original six-word story by Hemmingway himself. He truly was a literary genius. Something else I really loved this month is my sister’s focaccia bread (maybe you have some other name for it?!?) It’s the best. No, I’m not just saying that because she’s my sister! If you like baking and cooking and all that sh*t, try it out! If you don’t, you can just buy it at the store. I wanted to put some art in this post as well. This painting isn’t my months favorite. I’ve just always loved this painting. 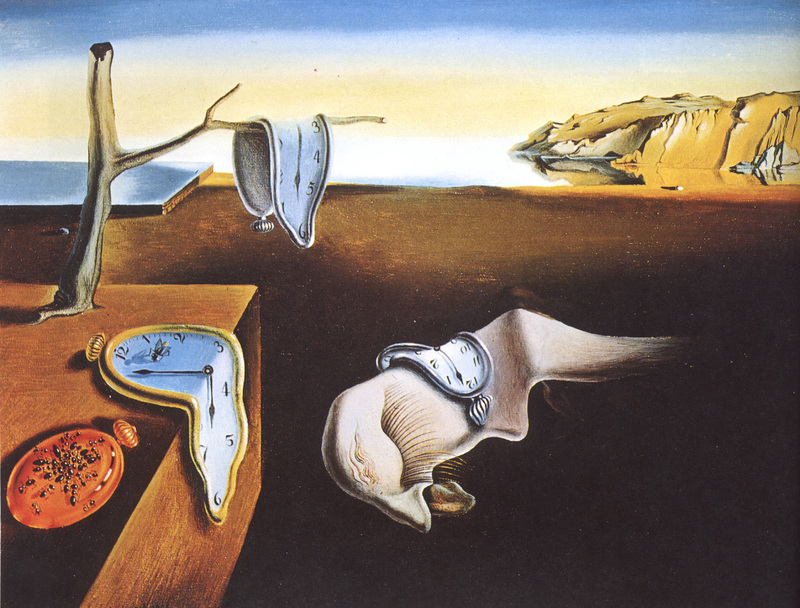 The Persistence of Memory by Dalí. They say painting can’t tell stories, but this painting is proof enough that that whole statement is bullsh*t.
I also found this genius joke! – One, men will screw anything. And this quotes. It’s on this shirt my mom bought me. And last but not least, I have this make-up tip. (I feel like I’m betraying myself by adding this tip, but it might actually help some of you.) I’ve been trying these different things against acne and found this simple solution. Smash an aspirin and add just a little bit of water, put it on your face like a make-up mask, keep it on for 15-30 minutes and let the magic happen. It won’t make all your acne disappear, but mine’s a lot less. Those were my May favorites. If you have any favorites, or maybe some other make-up tip against acne, let me know!